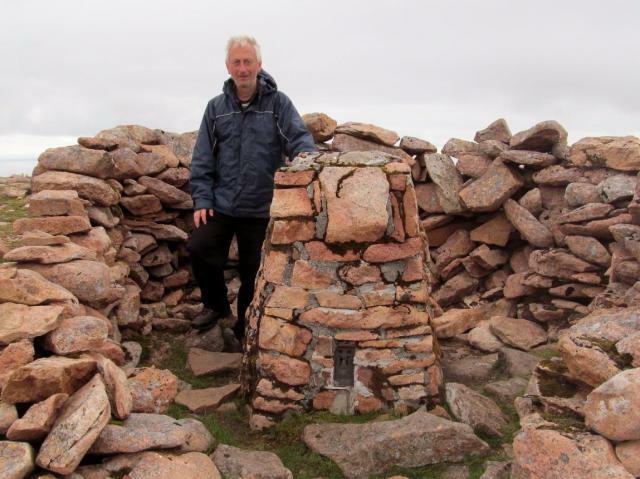 Is ranked joint 250th with 2 other trigs (more). 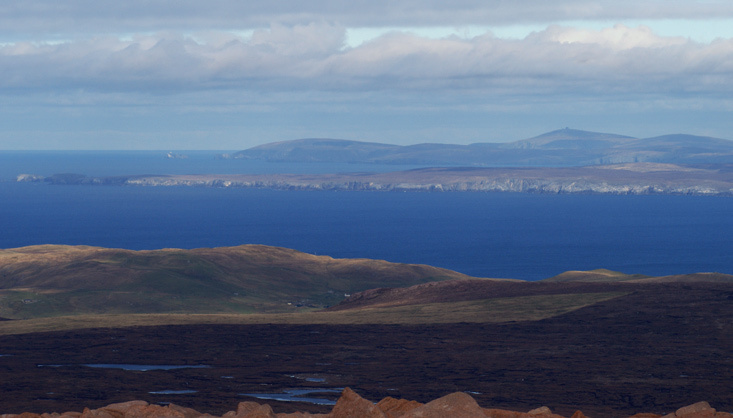 From Collafirth Hill, plenty of parking near the masts. Easy, gently sloping ground. Across to Mid Field first. 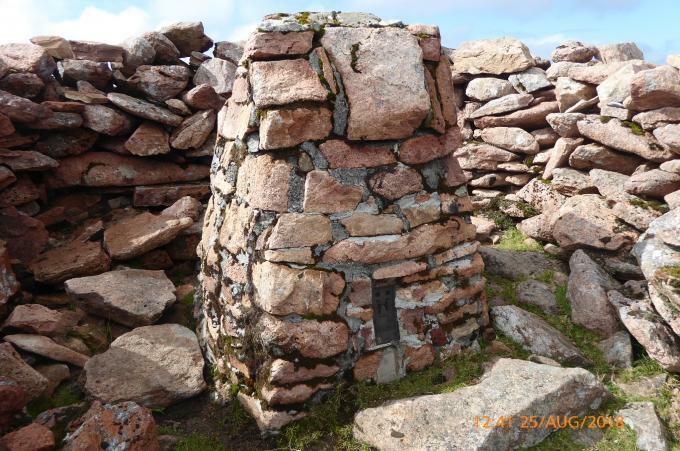 Lovely stone-built pillar using local red stone sited in a shelter cairn. 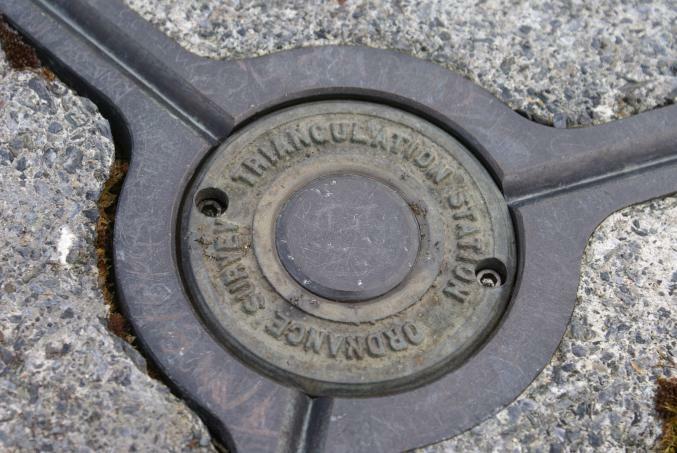 Top has some superficial damage to the screed; original centre cap retained, raised lettering; rear sight hole open. 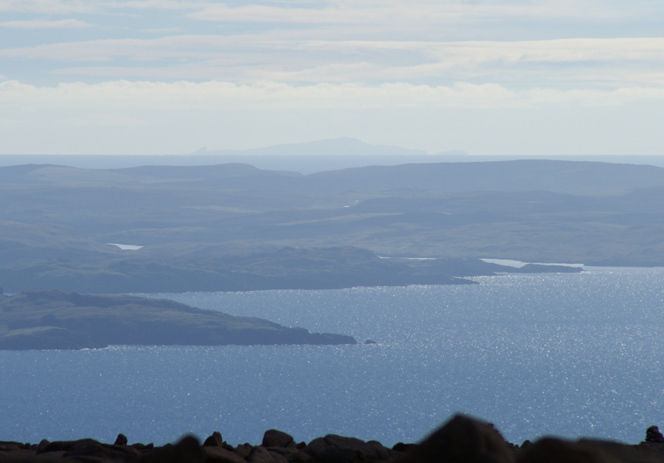 Superb views over much of Shetland. 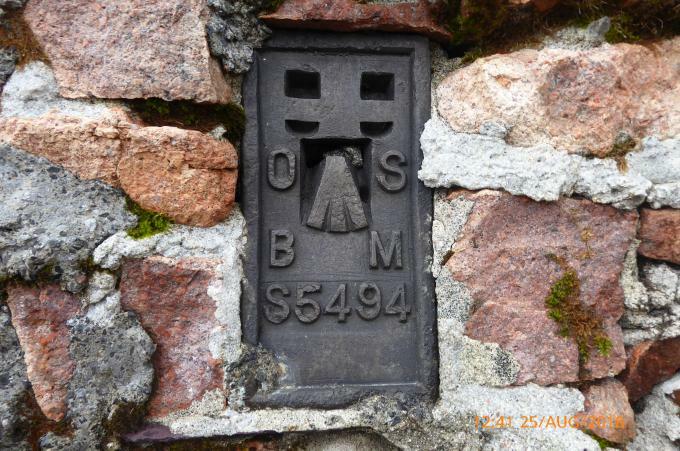 Geocache at rear of pillar. 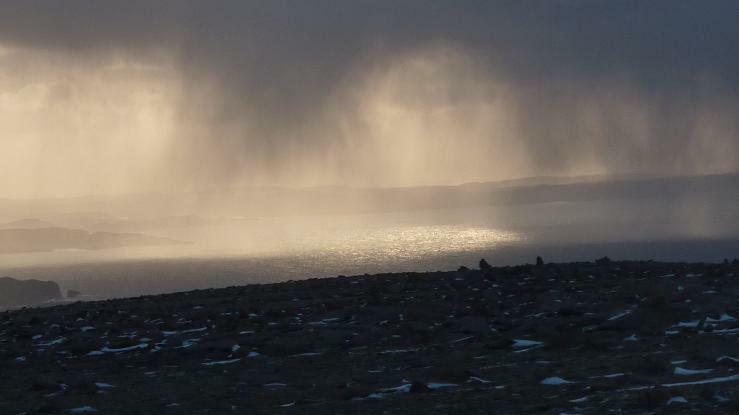 Set off from Collafirth hill in the mist and rain. Forecast for the day was supposed to be dry and cloudy! 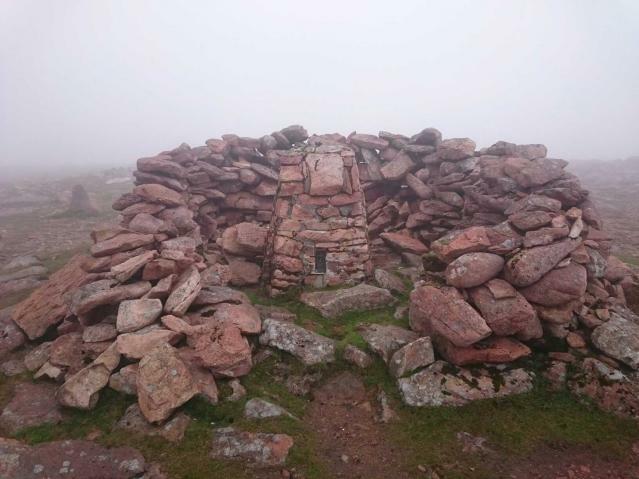 Navigated my way to the summit with the rain going off and some clear spells, but still thick at the top as I could barely see the burial chamber from the trig. County topping.Wet, misty but surprisingly very still. 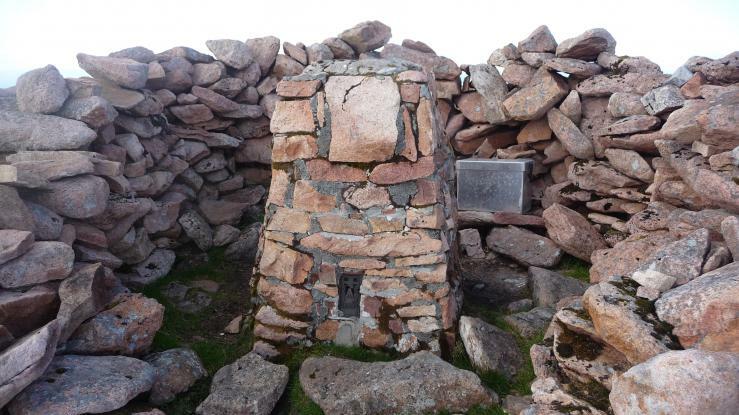 HISTORY: Pillar completed 27th May 1949 costing exactly �40. 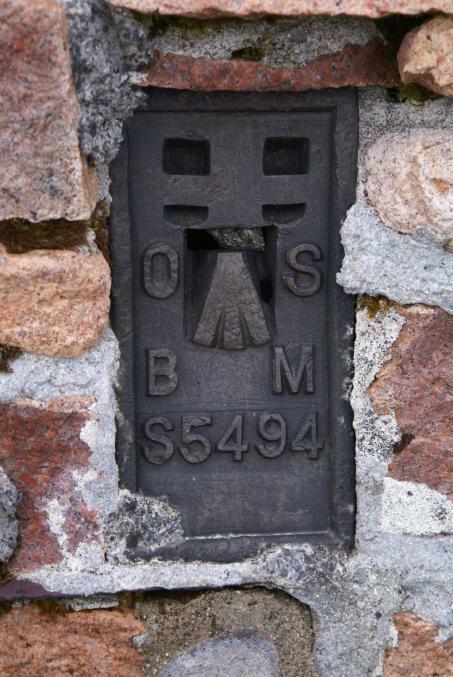 Computed as primary triangulation station PP462 within Figure 6 of the OSGB36 retriangulation network in 1951. 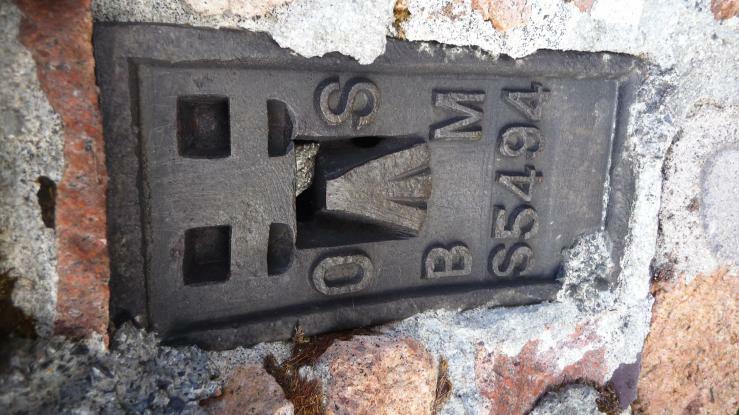 Levelled for height in 1961. 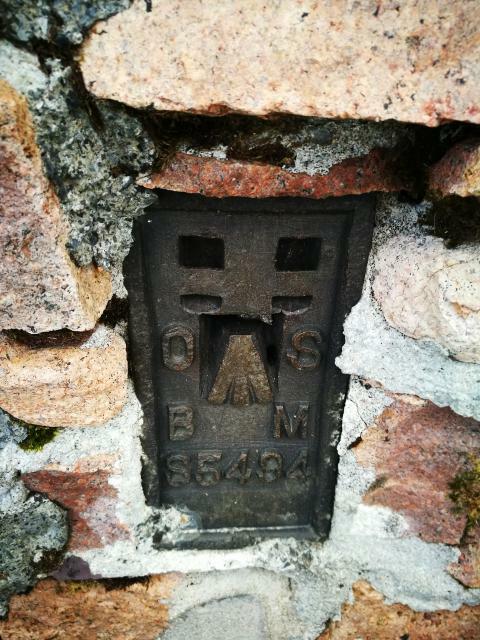 Last maintained by the OS in May 1980. SITE VISIT: Overall approach from east. Parked at top of road on Collafirth Hill by masts at HU334835. This road can be driven by car and seems to be open to public, information board at top. 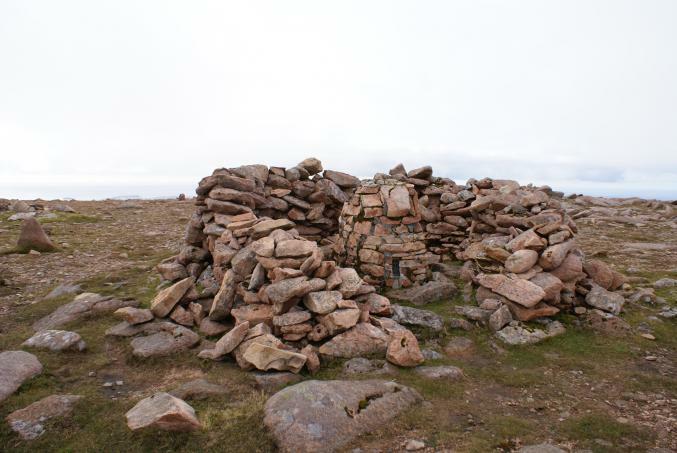 Route is WNW via Mid Field, west onto bealach and beeline southwest up Ronas Hill to its summit. 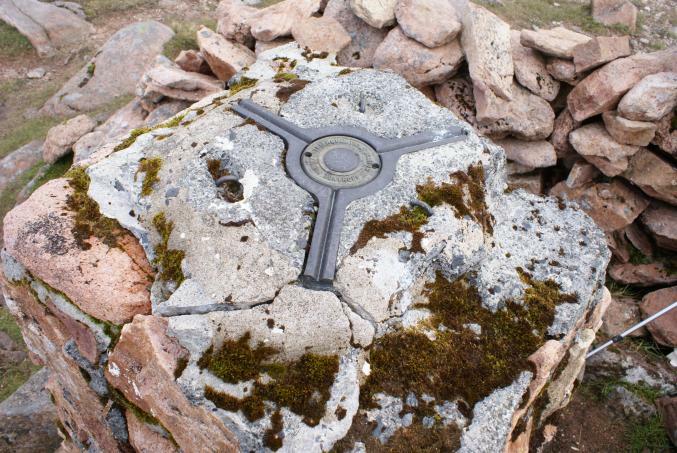 Highest point on the Shetland Islands. 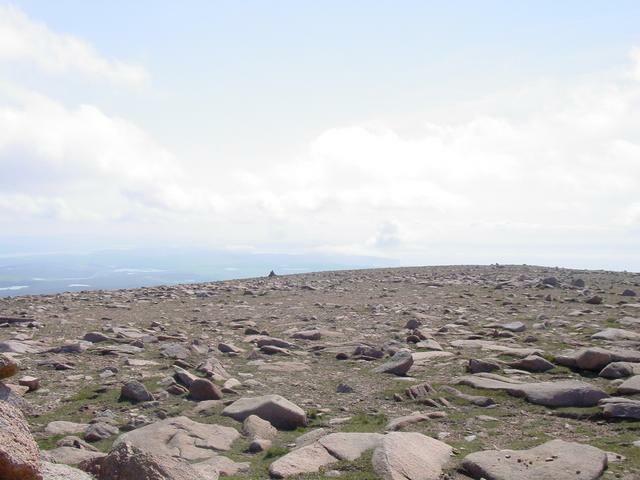 Rocky plateau but easy underfoot. 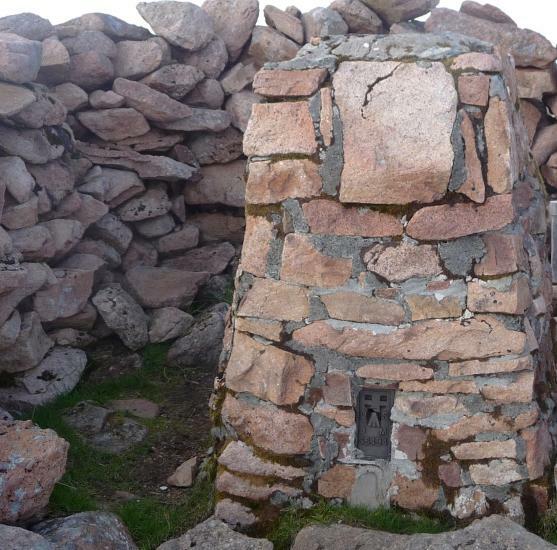 Stone built pillar within wind shelter in fair condition. Spider has replacement OS centre cap with raised small narrow letters. 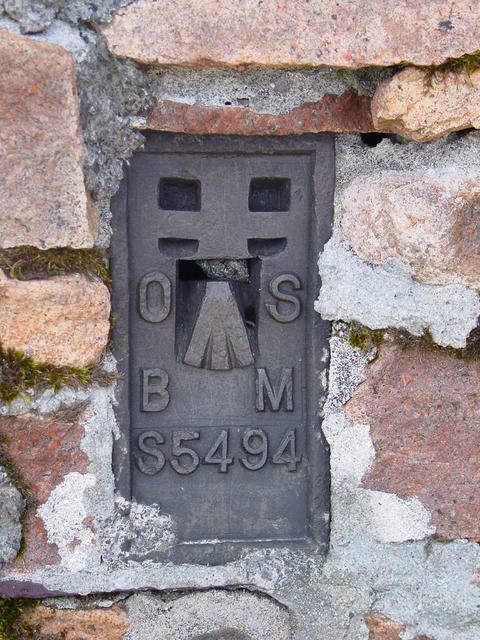 Flush bracket faces ENE, ~59�. Vented through SW sight hole. 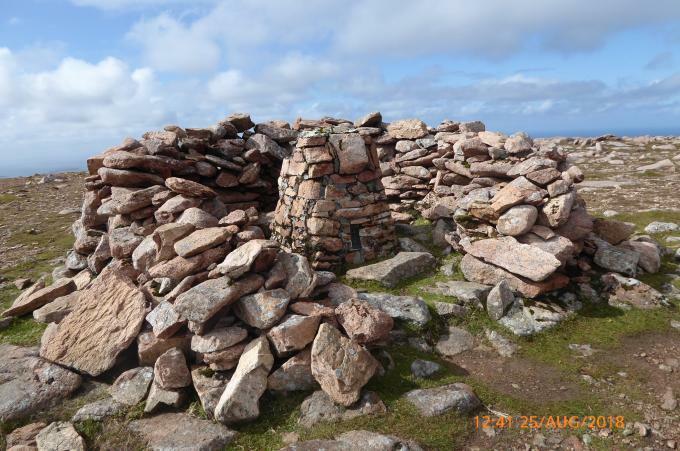 Full 360� panoramic view includes Foula. Drive upto masts Collafirth Hill 3k walk ground stoney,Second visit. 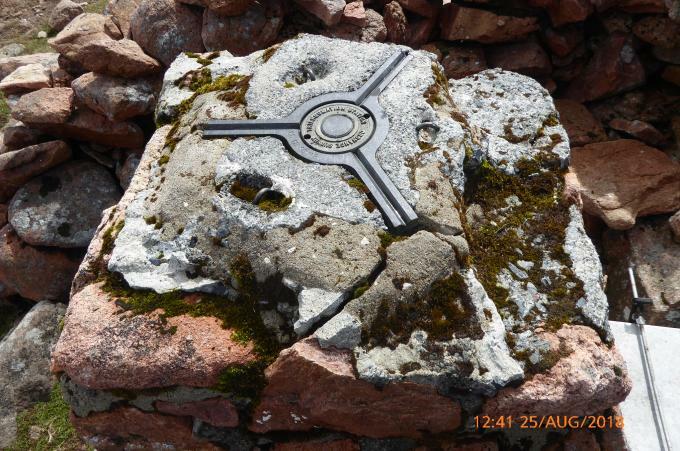 Stone built and slightly damaged with loss of stone from the top surface. Usual route from Collafirth Hill. 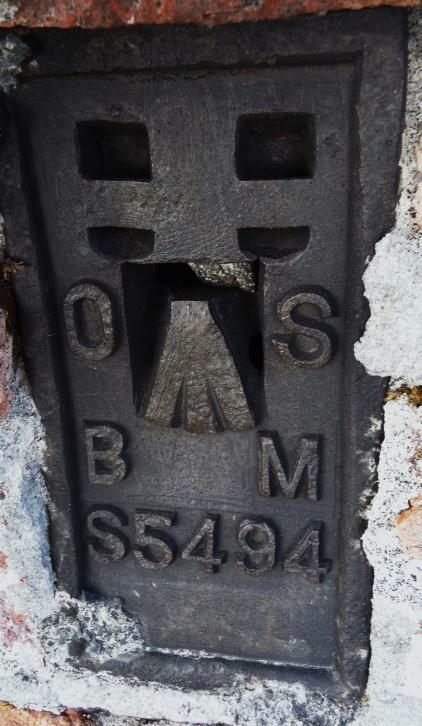 Metal cap, small raised letters. Top slightly damaged. 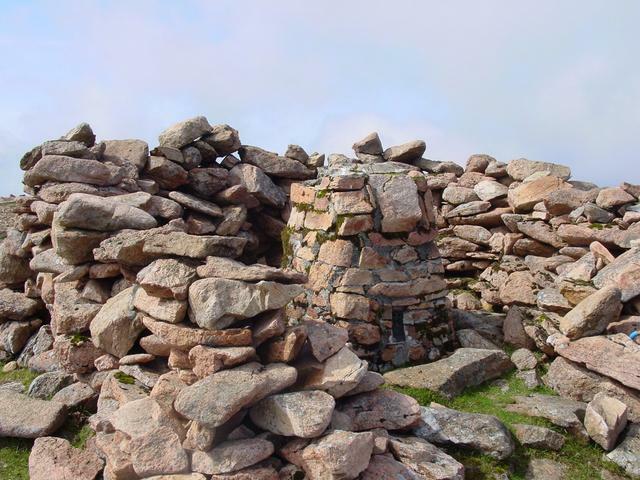 Built of local granite, inside shelter cairn. 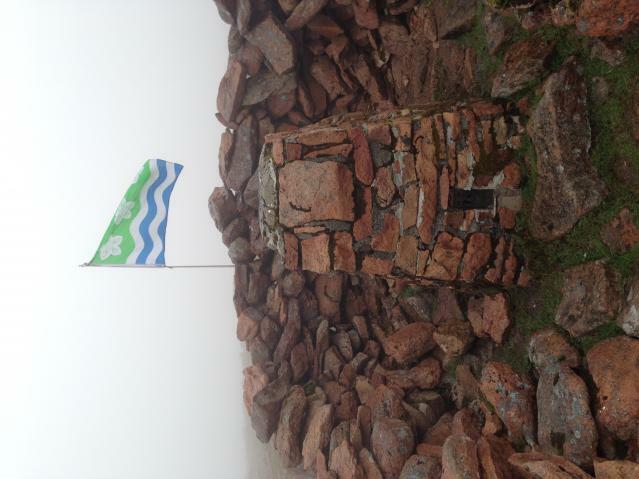 Wet and windy day but last of trip and my final Shetland trig pillar. 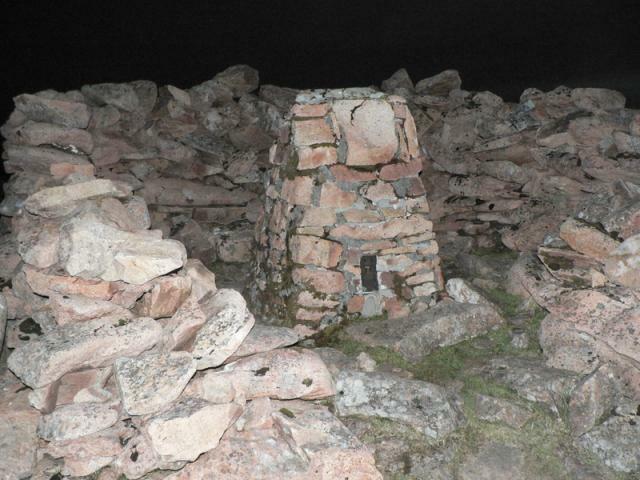 Burial chamber is impressive, and a handy place to shelter while writing log! 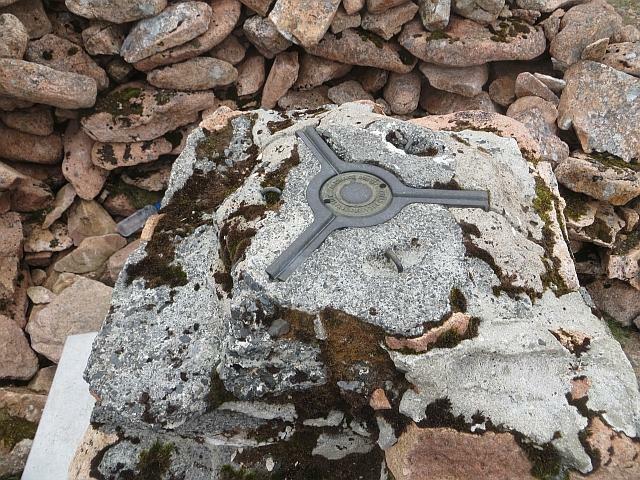 65m SE of trig. 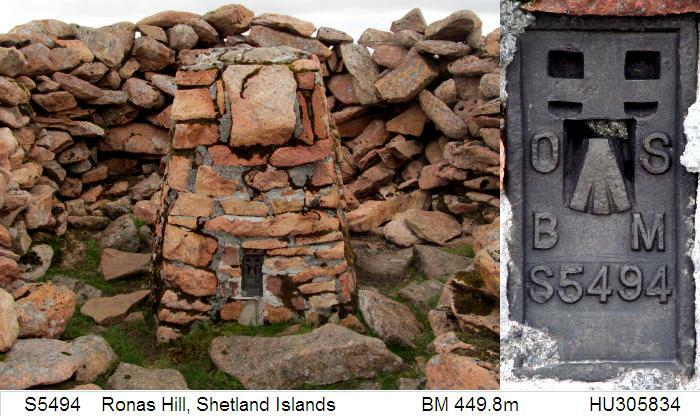 Stone-built , some missing from top. Spider centre cap with raised lettering. 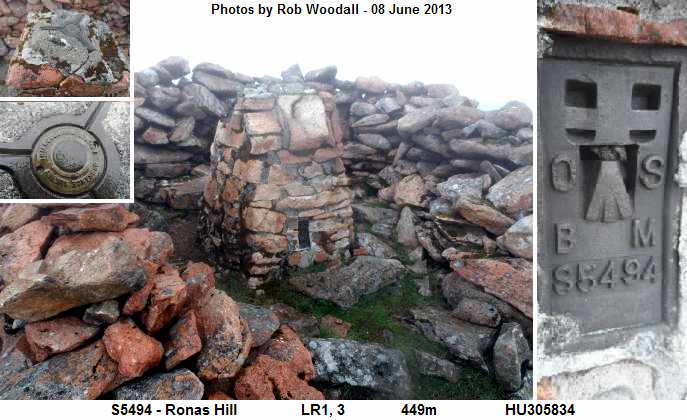 Previously visited this highest Shetland hill 22/06/07 & 21/08/01 no trig details noted. A misty spot this morning with Tricky Speirs. 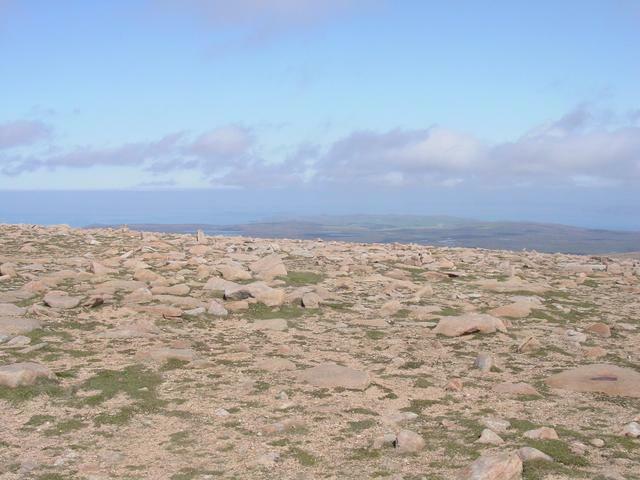 I parked at the masts on Collafirth Hill and set out walking at about 12:30 to the north of Roga Field and Mid Field to avoid too much of an ascent before Ronas Hill itself. The landscape - if ignoring the greenery - could easily be Martian! Red stones and boulders abound - and are very handy for crossing the odd wet patch. Although I had started in bright sun, as I reached the top the cloud level dropped and I was unable to see very much for a few minutes. 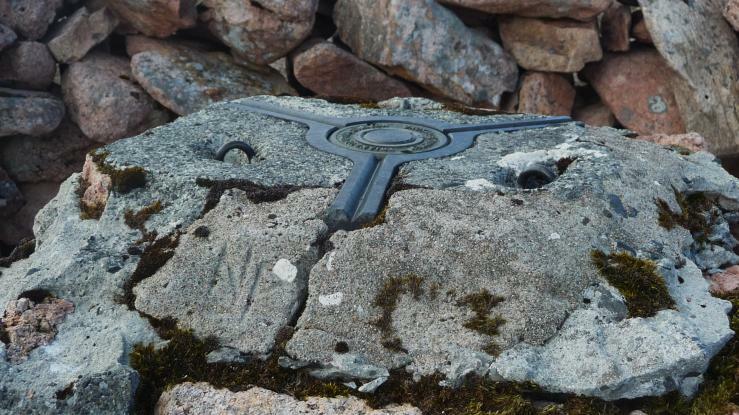 The pillar is stone-built from local red stone; FB faces ENE; WSW sighthole open, all others appear plugged; metal cap with unusual-looking thick raised letters. 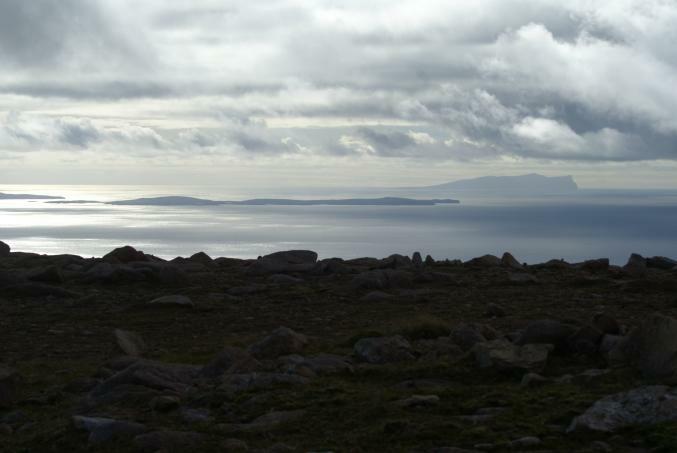 I signed the guest book and ate a sausage roll from my supplies before the cloud lifted and I could admire the view of almost the entire Shetland archipelago - all the way from Muckle Flugga (29 miles) and Saxa Vord in the north-east, round to Foula (35 miles) in the south-west, to Fair Isle (69 miles) and Fitful Head (43 miles) in the south. This is a good place to collect Intersected Stations too: Esha Ness Lighthouse (TP9643), Ungam Beacon (TP8865), North Unst Lighthouse (TP9642) and the replacement for Ness of Sound Lighthouse (TP9647) are all visible from here, and others may well be too. Very impressive indeed and well worth the 2.2 mile walk. 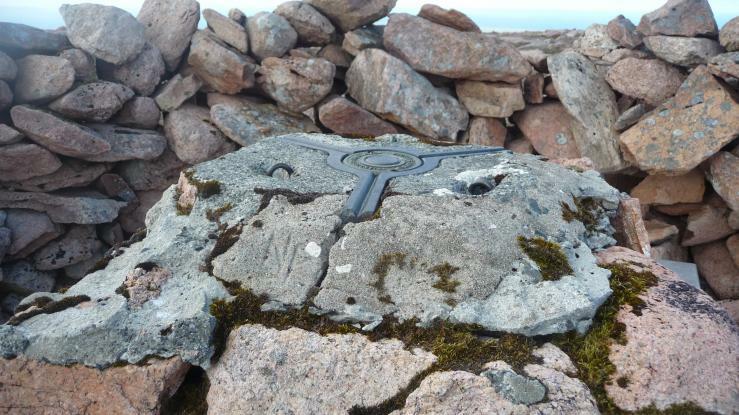 However after spending about 35 minutes at the top I carried on further to see if I could find the Valla Kames bolt (TP10485). 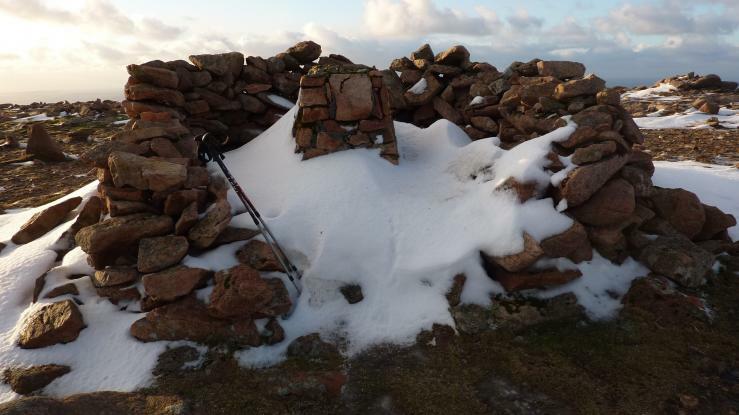 Very cold, very windy, only top of trig pillar visible above drifted snow so no condition or confirmation of flush bracket nor book in metal box available, see photos, but amazing weather features as sun, just one day from its winter zenith, shone through curtains of hail showers. A special day and well worth the effort. 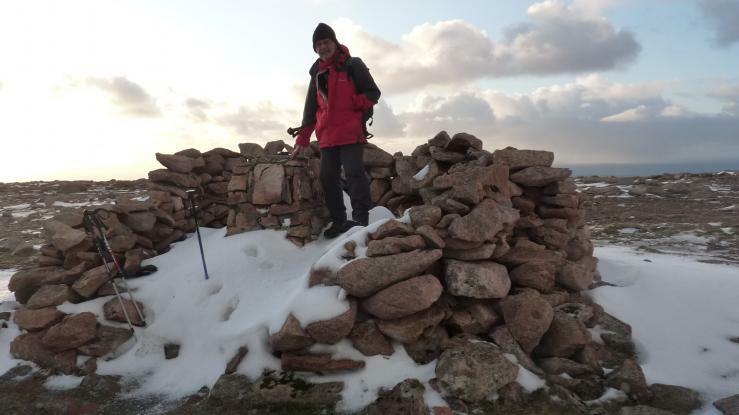 Not a usual position to check trig point details. 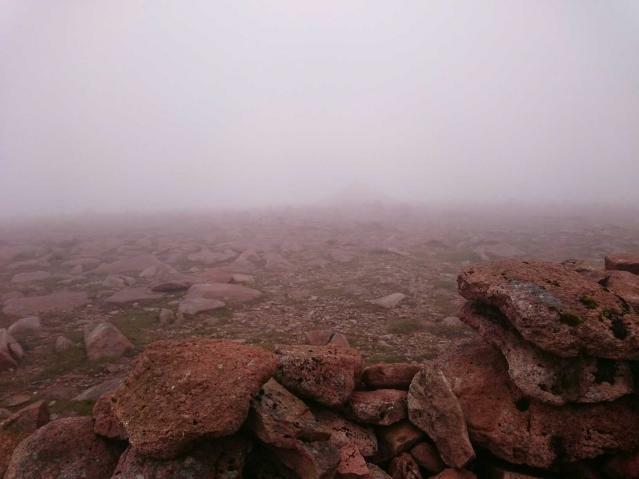 In the cloud by the time we reached this but a successful tick in the Shetland County High box! 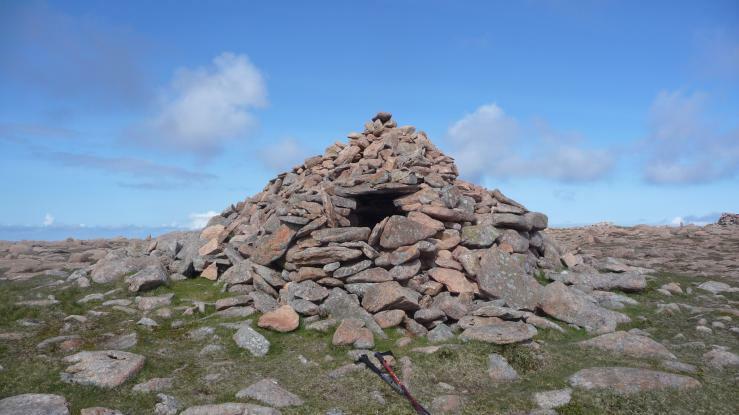 Walked round Mid Field from Collafirth Hill to the boulder strewn slopes of Ronas Hill Steady climb to the summit. 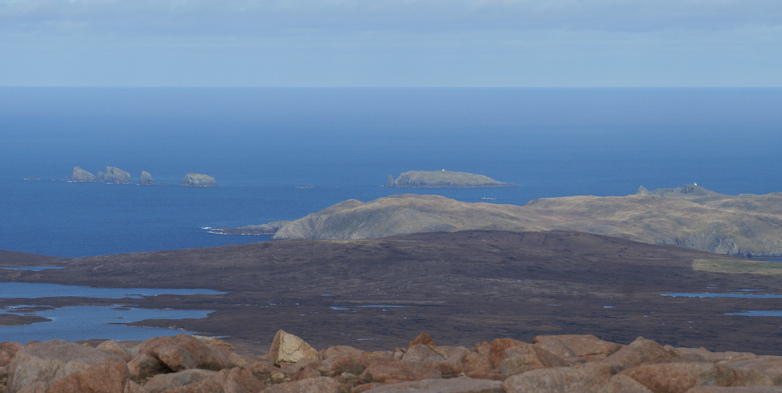 Windy conditions and warm, but haze restricted the stunning views from Shetlands highest Marilyn. despite car park being full only saw one group. Stone pillar with some missing from top otherwise OK. Spider & plug intact. Walk over Mid Field from top of road to Collafirth Hill. 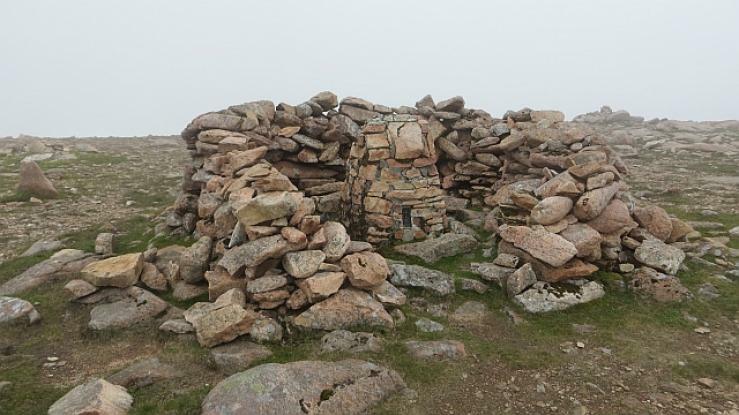 Stunning views from highest point on Shetland. Park at Collafirth Hill HU335835. An easy moorland walk of about an hour to the top of Ronas Hill.Could be difficult to find in hill fog as there are few features. 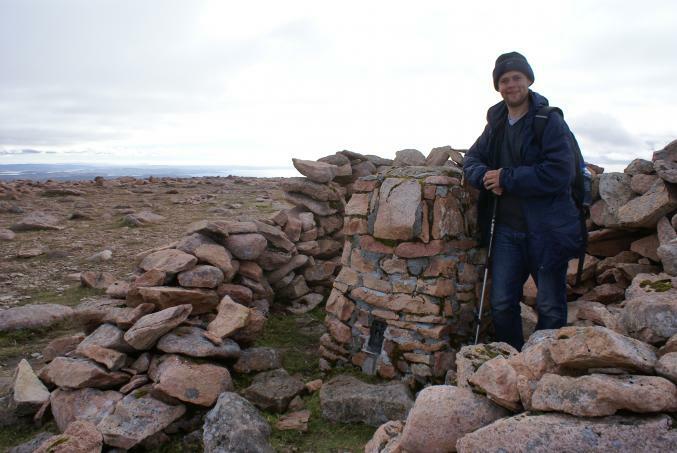 Fine broad stony summit, highest point on Shetland by a long way. No trig details noted.